I’m a little new to this low-carb thing, but in the short time that I’ve been trying to cut out sugar, I’ve realized how hard it is to have quick and easy snacks available. String cheese, nuts and boiled eggs have started to get old and boring, so it’s nice to have a few exciting on-the-go recipes that can last an entire week! 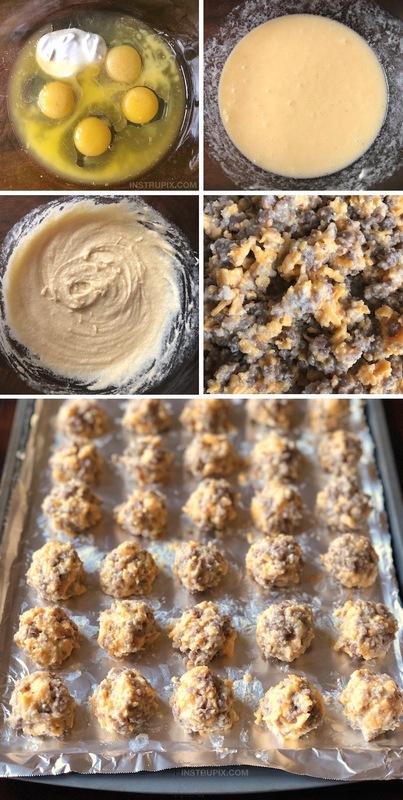 I stumbled upon this recipe over at KaseyTrenum.com, and now these cheesy sausage puffs are my favorite go-to low carb recipe. They are out-of-this-world delicious! I’m talking, little balls of heaven. They’re also pretty quick and easy which is a huge bonus in my book, and with the exception of the sausage, I usually have all of the ingredients on hand. These little sausage puffs are incredibly hearty, so you only need 2 or 3 to satisfy your tummy. They’re absolutely delicious for breakfast or a mid-day snack. 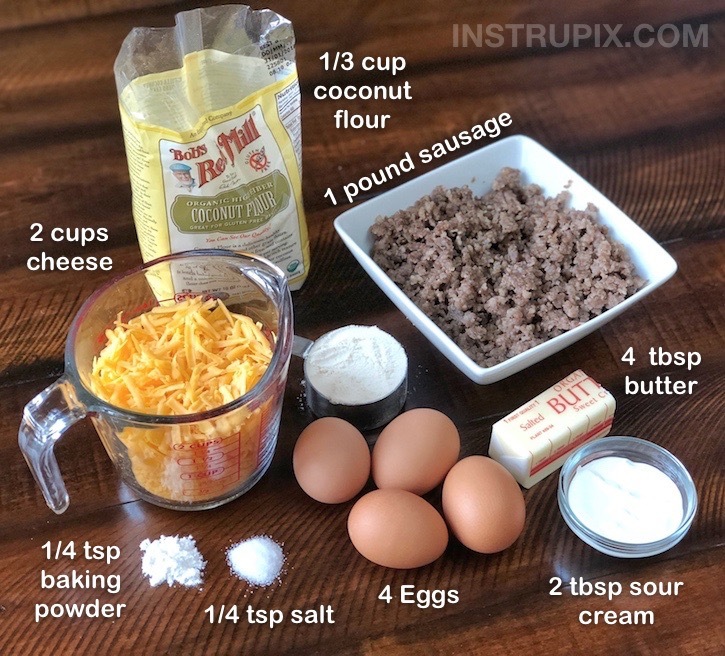 This quick and easy low carb keto recipe is delicious for breakfast or snacking throughout the day, and perfect for on the go! Melt the butter, and then place it in the refrigerator to cool for 5-10 minutes. Meanwhile, preheat the oven to 375 degrees and line a large baking sheet with non-stick foil or parchment paper. Brown and drain the sausage, chopping it into small chunks; set aside. In a medium to large size bowl, combine the melted and cooled butter, eggs, sour cream, salt and garlic. Whisk together. Add the coconut flour (slightly more than 1/3 cup) and baking powder to the mixture and whisk until well combined. Stir in the browned sausage and cheese. Roll or drop batter into 1 inch balls onto your lined baking sheet. I make 35 and they fit perfectly (5 rows of 7). They only need to be about 1/2 inch apart. Bake for 14-18 minutes or until slightly browned. Enjoy immediately, and store any leftovers in the fridge for up to a week.